Seasoned professors Ed Hindson and Gary Yates join forces to give us “The Essence of the Old Testament: A Survey.” This volume is aimed at beginning undergraduate students and serious laymen as well. B & H Academic has almost concerned the market on Bible surveys for every level and this one holds up the high standard of its sister volumes and yet is accessible to its target audience. There’s three introductory chapters adeptly looking at big picture issues like people, places, archaeology and canon. Each section of the Old Testament gets like Pentateuch, historical books and so on get a helpful chapter. The majority of the book is a chapter for each book of the Old Testament, except for joint chapters on, for example, I and II Kings. Each chapter covers background, an outline, a section on message that basically covers the contents of the book, and a short section on theological significance. This book is a gorgeous volume with nice pictures, charts, and maps that will be a real asset to you. “The Essence of the New Testament: A Survey” by Elmer Towns and Ben Gutierrez is similar and companion volume to “The Essence of the Old Testament:A Survey” by Hindson and Yates. It too is aimed at beginning undergraduate students and serious laymen and continues B & H Academic’s reputation for premier surveys. There are three chapters on introductory matters. The first two cover textual issues and New Testament interpretation respectively. The chapter on “The History Between the Testaments” sets the New Testament in perspective. While I prefer the design in its OT counterpart better, this is still acceptable. I would have also preferred a more broad approach on the Gospels than just focusing on the Synoptic Problem. The real value in this volume is the chapters on the individual books of the New Testament. They are well done and include fine pictures, maps, charts, and content. I highly recommend this survey, and think it even a better idea to grab its OT counterpart at the same time to have an outstanding set. 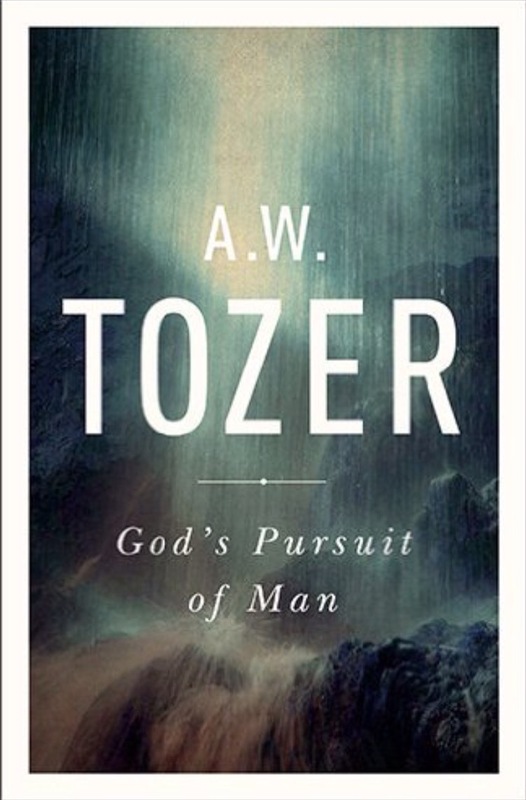 A. W. Tozer turned out an incredible amount of probing, moving, and spiritual writings. His classics “The Pursuit of God” and ” The Knowledge of the Holy” are two of the most important Christian books that we possess today–Something like a 12 on a scale of 1-10. This volume is only slightly below those venerable books. Not agreeing exactly with the Calvinist or the non-Calvinist, he never demonstrates the fear of man and writes what he got from intimate communion with his Lord. I can’t really think of a downside to the book and was personally moved by it. Some might think they find a few strands of legalism in it, but please notice there is nothing of the Pharisee’s heart from his pen. This book is a winner all the way. 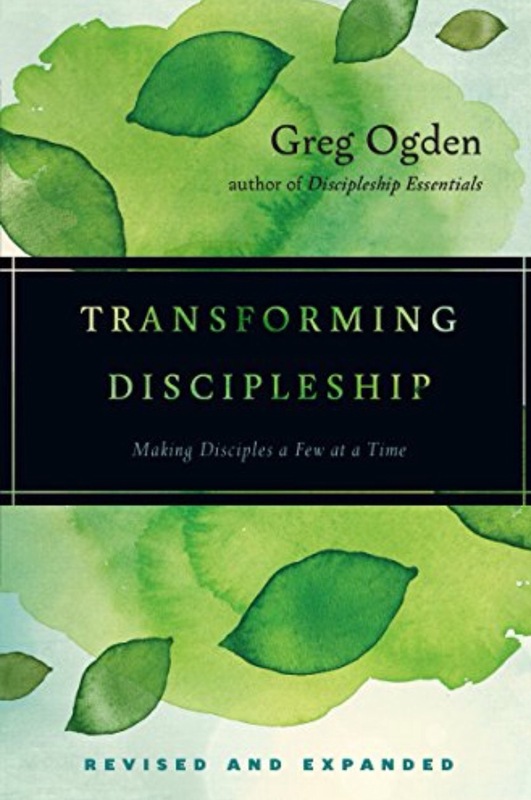 Here’s a revised and expanded edition of an influential book on discipleship. Ogden is one of the most respected authors on the subject and he is passionate about the subject as well. He gives the reader a lot to chew on. The book is in three main parts with the first one covering what has gone wrong with discipleship. He exposes the superficiality in Christians today as the proof of discipleship going awry. He says people worship “with a reviewer’s mentality.” He cites studies that show few Christians have a goal of being committed to Christ, but are more focused on the American Dream. He laments how the lifestyles of Christians and non-Christians are indistinguishable. He says, “It would appear that Christians have been almost as seduced by self-focus as the broader population.” He surmises that we have been diverted from the main calling we have. We are consumed with programs that does not actually disciple people. We says people don’t have the right idea about church and churches don’t have it about discipleship. The next part is where he traces discipleship in the New Testament. He goes, of course, through Christ’s ministry. Next, he tackles Paul and even admits that Paul doesn’t use the word “disciple.” He shows Paul speaks of parenting young believers and transforming lives. He draws it out with great detail. The balance of the book is a detailed explanation of his particular method of discipleship. He emphasizes relationships and not expecting quick results. It’s interesting, but strikes me as working better in some areas or with professional people. Still, it’s worth considering. In an added chapter, he unnecessarily pits preaching and discipleship and is too harsh on preaching. This book is necessary for our shelves in discipleship. My favorite chapter was the first one which covered Hebrews. There were great insights on every page. 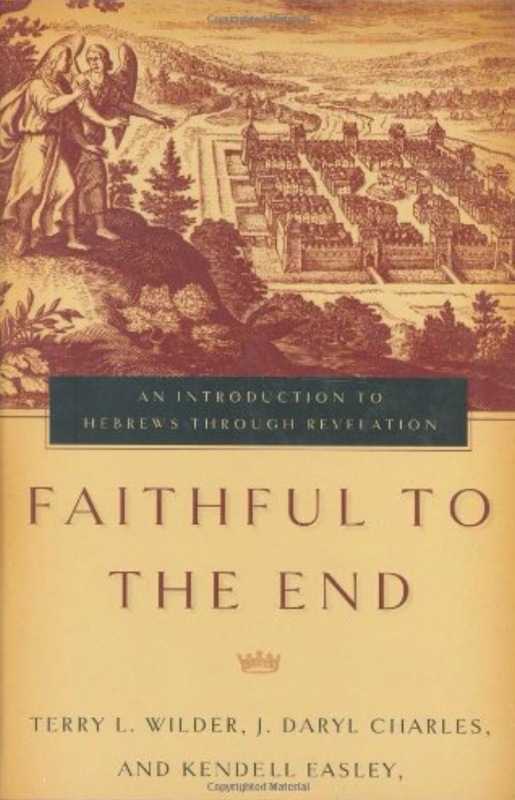 It just so happened that I was recently reading the introduction in a major exegetical commentary on Hebrews and found much more here that opened up what Hebrews is all about. The chapters on the other Epistles were good, with perhaps James and Jude getting the best treatment. Revelation was explained well, as were the schools of thought of how to view it prophetically. He attempted to explain Revelation in terms that would make sense to most of the schools of thought. In the limitations of that approach, it worked. This is a great volume and I highly recommend it. 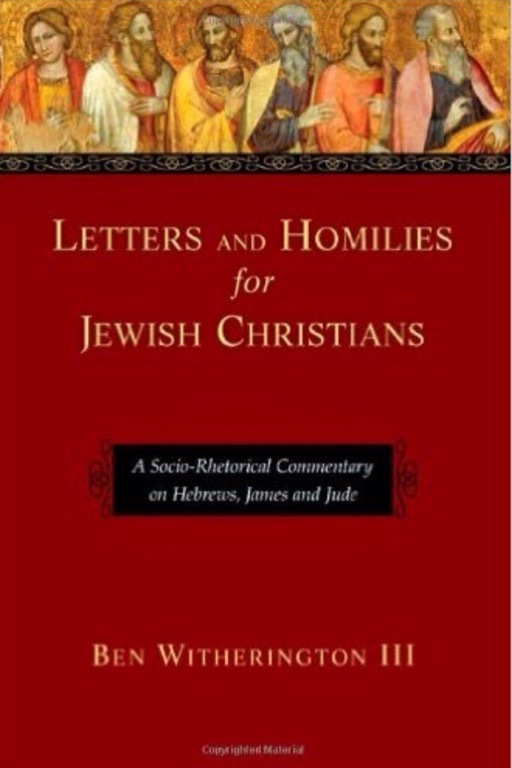 This volume joins “Letters and Homilies for Hellenized Christians” Volumes 1 and 2 for Witherington’s three-volume set that covers the General Epistles including the Pastorals, Epistles of John and of Peter, and in this volume, Hebrews, James, and Jude. I always marvel at his output as he has written on most of the NT and other subjects as well. Having reviewed the other two volumes, I feel he keeps up his standard of work here. He keeps that socio-rhetorical emphasis that he is famous for as well. I can’t always agree with his conclusions, but they are never uninteresting. He deals with Hebrews first. He summarizes the different viewpoints on authorship well (he favors Apollos) and rightfully emphasizes Christology to good effect. He sees Hebrews as a rhetorical masterpiece and I agree. His commentary, though I would disagree at points, was helpful. I chuckle at how he writes his Introductions for each book because he approaches them in a different order each time and just seems to start at random. Still, he gets it covered each time. Next, he tackles James. As you might imagine with his emphases, he writes on the “social ethos of James’s audience and home congregation” with good food for thought. I found his thoughts on Jude even better. This is a quality commentary of the acedemic type and I recommend it. Have you ever read a book that was both provocative and somewhat outside your comfort zone, but still opened your eyes? This book by Allan Dayhoff was such a book for me. Tattoos to my mind were gross, ugly, and wrong. While I still am not a fan of tattoos at all, this book chided me for never considering what is going on in the souls of those with tattoos. Why are tattoos exploding in our day? More importantly, what should a Christian see in this trend of people writing on themselves? 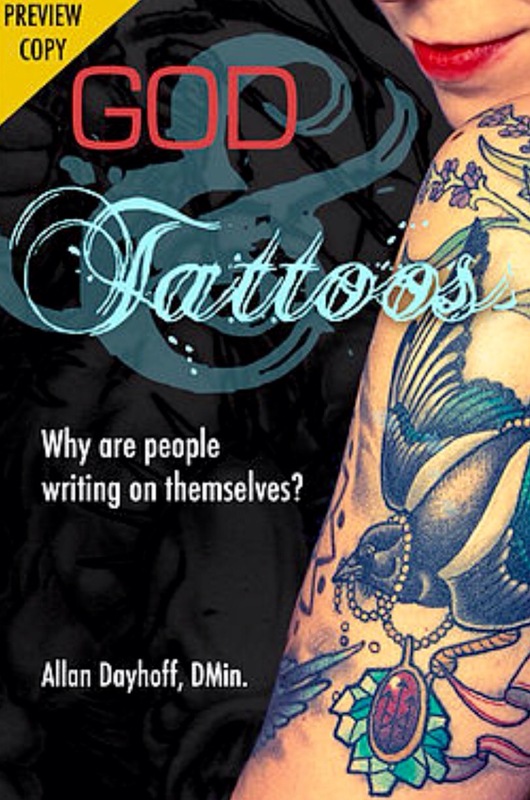 The author did what it never occurred to me to do: ask people why they have tattoos. He asked them what their particular tattoos meant and that opened up a massive flow of information from which some conclusions could be drawn. He found that some are doing it because it is the “it” thing to do in our generation. In other words, for some it is merely a jump on the cultural trend bandwagon. I suspected this one, but sadly never thought about the other reasons involved. It’s in those other reasons that this book is eye opening. It seems as though people are needing empathy and to have meaning. In that they do not have those needs mets, Dayhoff explains that their souls are crying out these needs and writing them on their own skin. People are finding this new way to say who they are. Often, the story on their skins is one of deep pain. Other insights abound. I met the author and while I could not do all his methods, I saw that he was sincere in sharing his faith. I must warn you too that in some cases he directly quotes his interviewees and that means some really bad language. That arose, no matter what we feel about it, from his approach to write a book that would teach Christians and could be used with non-Christians at the same time. It’s probably not a book for everyone, but I found it instructive and fascinating.